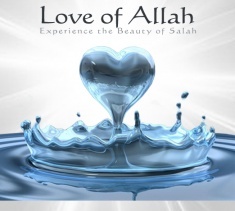 The Qur’an Project presents its latest new book - 'Love of Allah - Experience the beauty of Salah'. From the 1st of May 2013, you will be able to order your FREE COPY worldwide insha-Allah from our website. We will be uploading daily extracts from the Book between 8-9pm everyday till 14th April insha-Allah. As with all Qur’an Project publications– there is no copyright and no rights reserved. Any part of this publication may be reproduced in any language, stored in a retrieval system or transmitted in any form or by any means, electrical, mechanical, photocopying, recording orotherwise without our permission, as long as no changes are made to the material. Please kindly send us notification for our records. May Allah [swt] grant us the most blessed conditions in our Salah and achieve the status of being amongst themost beloved to The Beloved Himself. O Allah, bless us with Your Love, the love of whom You Love and the love of deeds which bring us closer to Your Love.Please save us from the Fire, Forgive us for every sin and bless us and our families to be with You in the highest places of Jannah [ameen]. Spread the word amongst friends and family.